Jamie Truman (TFA alum, former NYC DOE teacher and charter school Director of Operations) goes over common interview questions, gives you tips on how to knock it out of the park at any school interview, and decodes what hiring managers really mean when they ask certain questions. It's part 2 of 2 of our Teacher Interviewing 101 video series. 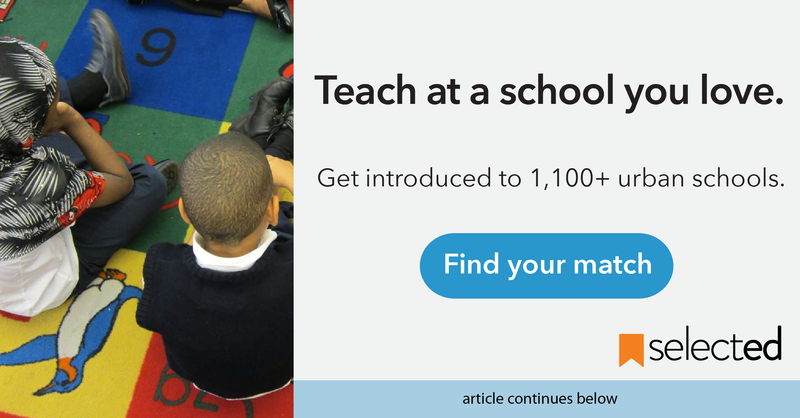 Below, we've listed all the questions we've curated from leading schools and teachers. Prepare away! Email us at hello@getselected.com if you have any new ones to add! Tell me about a time you and a colleague disagreed. How did you reach a resolution? Tell me about a time you experienced failure. What did you do? Describe a time you encountered a rule or practice in an organization that made no sense, and what you did. Name one piece of feedback you’ve received and how did you incorporate this feedback into your practice? What are two things you need to further develop in your teaching practice? Name a mistake you’ve made as a teacher. Why was this a mistake? Tell me about a tough situation you had to handle with a student. What was it? How did you resolve it? Follow up: If you could back in time and encounter the situation again, what would you do differently? How would you deal with a student who is habitually late? When do you feel most successful (personally or professionally)? Describe the most significant team accomplishment of your career. Which statement do you believe is more true and why? A) High self-esteem leads to greater academic success B) Academic success leads to higher self-esteem. All classes have a range of learners. How do you support the struggling students while balancing the needs of your highest performers? How do you measure whether students understand what you're teaching and what do you do with that information? What is your vision for classroom culture and how would you begin to establish that culture during the first two weeks of the school year? What role do parents of students in your classroom have in the education of their students and how do you build relationships with parents? Is it possible for students to learn from a teacher they don’t love? Follow up: Is it possible for a teacher to teach a student they don’t love? If I walked into your classroom on a typical day, what would I see and hear? What are three words you would use to describe yourself? Why? Follow up: What are three words your current manager would use to describe you? Why? What is the biggest misperception people have of you? Hello, PA & CT! Now on Selected. Aaaand we're live in PA and CT! Find great schools in both states through Selected. Former charter school Director of Operations and NYC public teacher Jamie Truman breaks down how to make a great first impression and how to practice interviewing for the new school year.